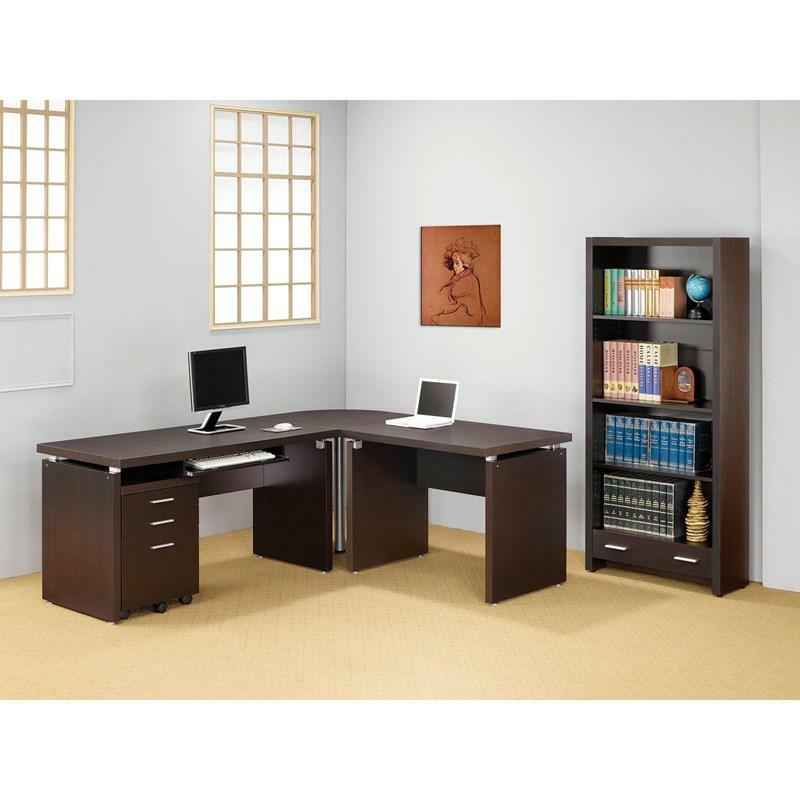 Wheel some more storage space into your office with this return from the Skylar Collection. 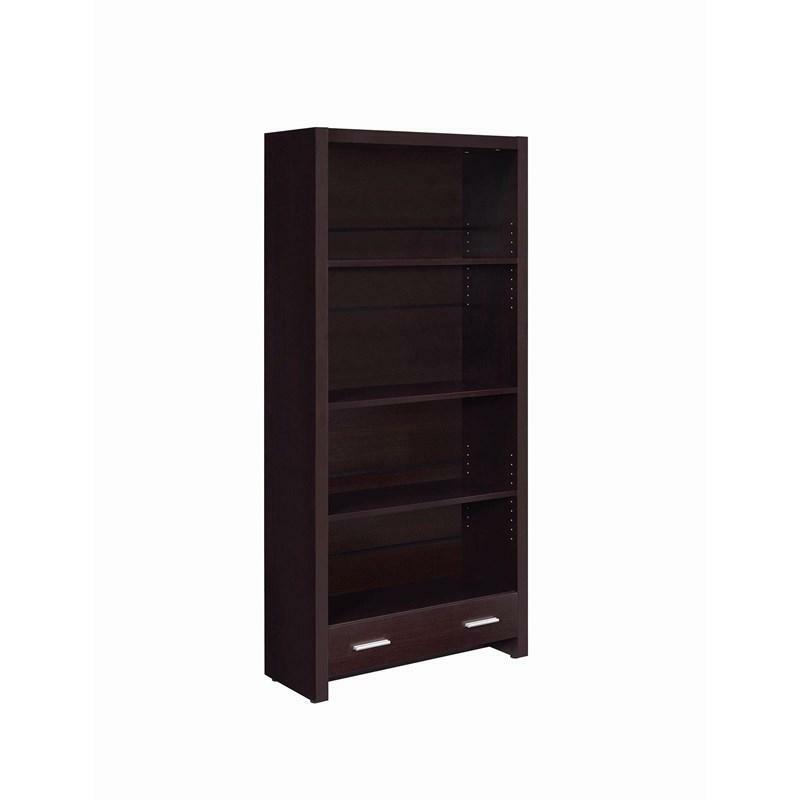 Finished in a rich cappuccino and complete with four caster wheels, this mobile shelving unit pairs perfectly with its matching desk from the Skylar Collection. 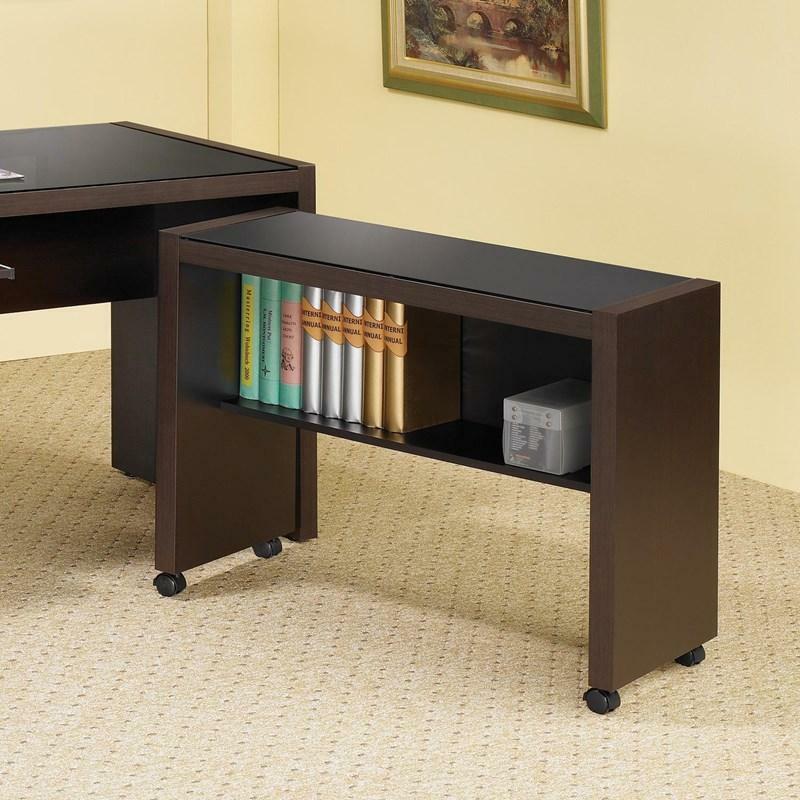 A tempered glass top completes the look of this mobile return. • Black tempered glass thickness: 0.2"
Volume 3.01 cu. ft. / 0.09 cu. 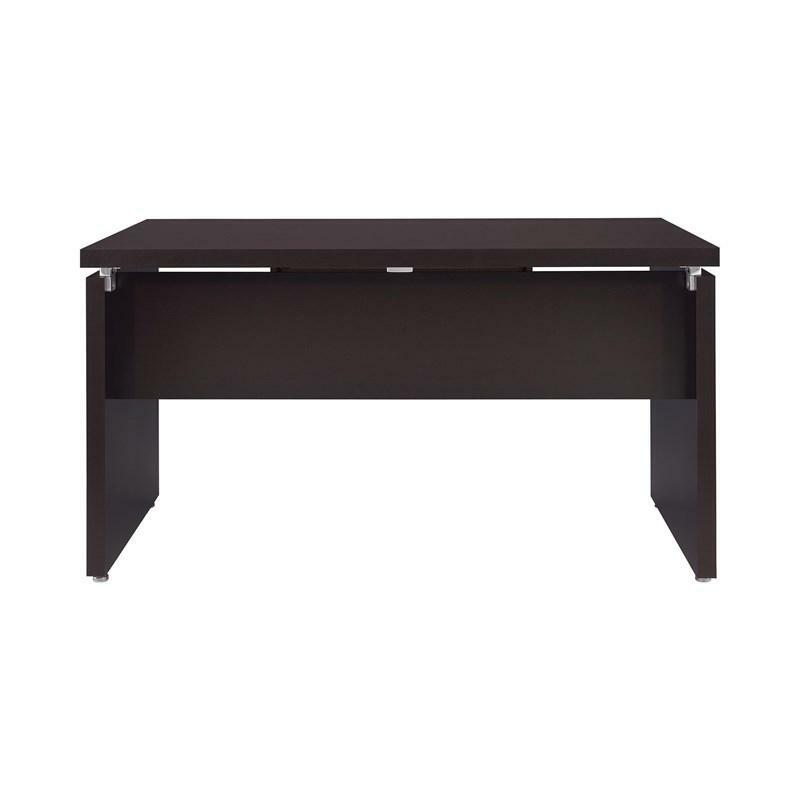 m.
This contemporary desk will demand respect in your office setup. 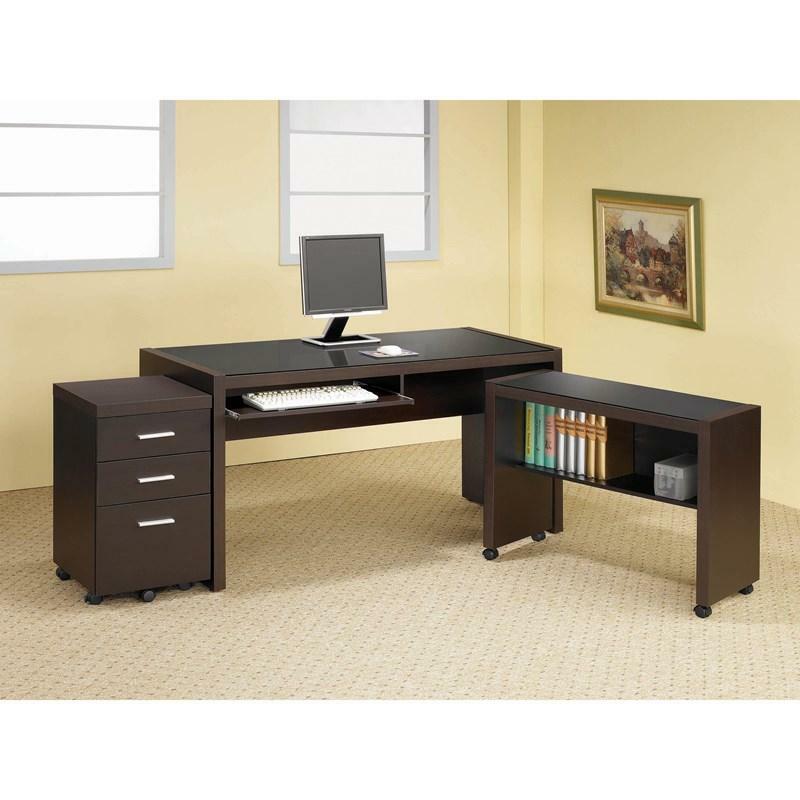 With a rich cappuccino finish, this desk offers clean lines and silver metal accents. 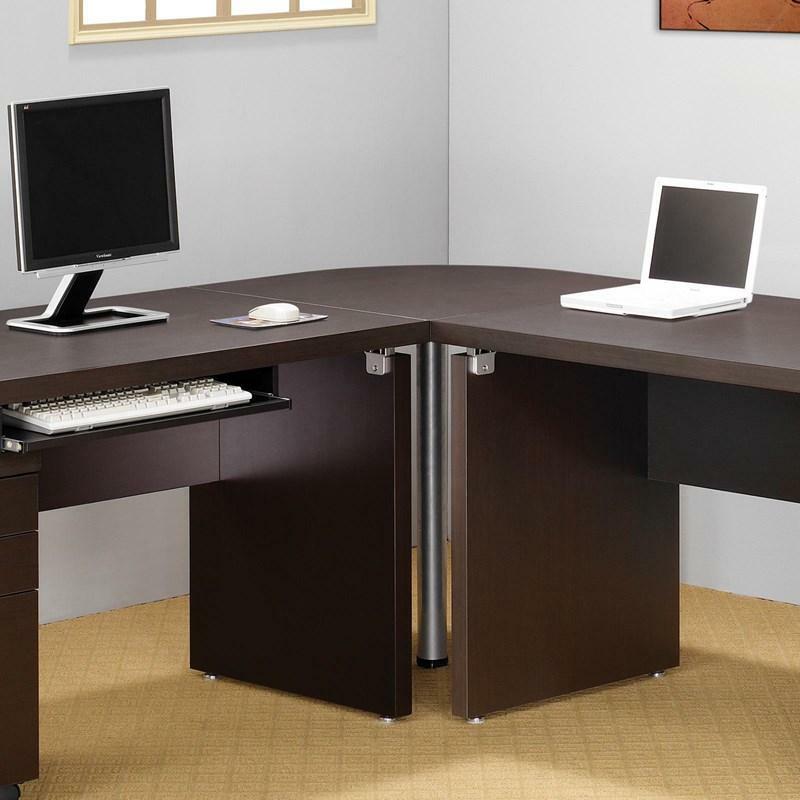 This desk can be paired with its matching extension for an "L" shaped setup.